Luke McGuffey, along with his wife, Kristina, is the owner of SERVPRO of Greeley/Windsor. He has many years in the industry; beginning his career working for Kristina's parents who owned SERVPRO of Greater Boulder. He purchased the Franchise in 2013 and is certified by the Institute of Inspection Cleaning and Restoration Certification in many areas, including Water Damage Restoration, Fire & Smoke Restoration, Carpet Cleaning, Applied Structural Drying and Applied Microbial Remediation. Luke also has his HAZWOPER certification, completed the OSHA Bloodborne Pathogen training and the certification program for Crew Training Course through SERVPRO Industries. Barb Pickett is our Office Manager. 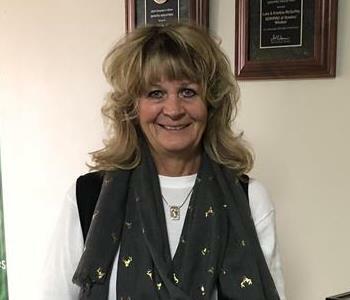 She has many years experience in the insurance industry and began with SERVPRO of Greeley/Windsor in September, 2012 as an Administrative Assistant, in July 2013 she moved to at Marketing rep., and in 2015 moved to the Office Manager position. She ensures all our job files are processed quickly and accurately. Barb is certified by the Insititute of Inspection Cleaning and Restoration in Water Damage Restoration, Fire & Smoke Restoration and Odor Control. Barb also has completed the certification program for Crew Training, Carpet & Upholstery, Water Restoration, and Fire Restoration, Leadership and Management through SERVPRO Industries, and is currently working on the Commercial Training. Barb has her Bloodborne Pathogen certification as well. Tom Shaw is a Business Development Specialist at SERVPRO of Greeley/Windsor. Tom has many years of experience in the insurance industry. Prior to joining us in September 2016, Tom was an adjuster for The Hartford. 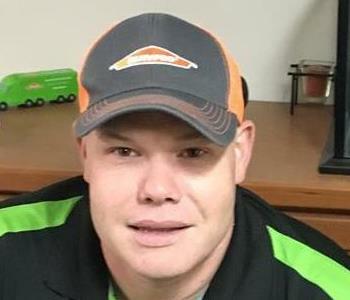 Chris Daisey is one our Crew Chiefs at SERVPRO of Greeley/Windsor. He has several years experience in the mitigation and carpet installation industries prior to joining us in March 2017. Chris just finished the IICRC WRT class, and he is so pumped up, we are so glad he is on our team!! Chris has his Bloodborne Pathogen certification as well.Chris is a very positive person each and every day. John Brady is one of our Crew Chiefs. 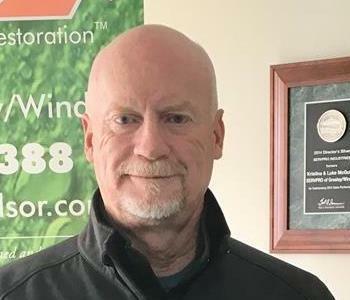 John has returned to SERVPRO of Greeley/Windsor after taking an absence for two years. 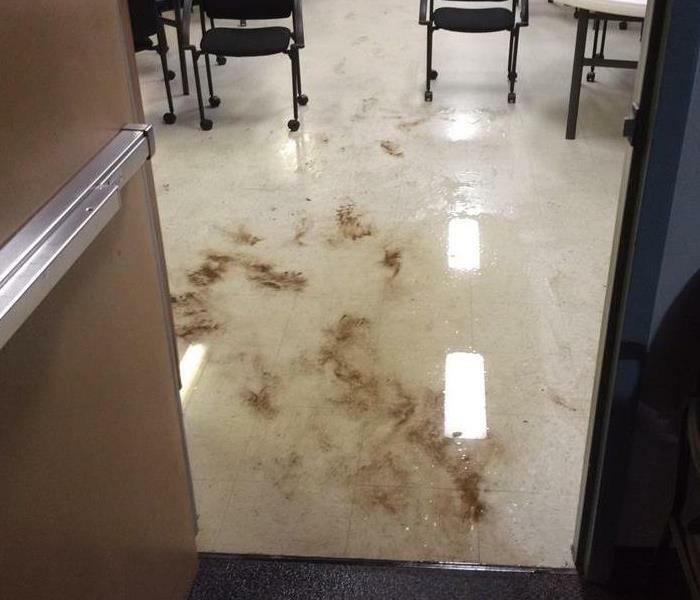 John is certified by the Insititute of Inspection Cleaning and Restoration in Water Damage Restoration. 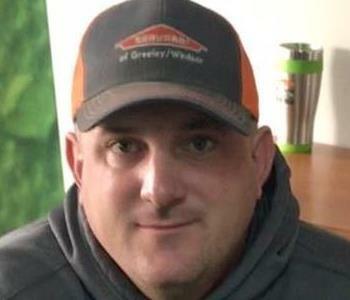 John is also studying to complete the certification program for Crew Training, Carpet & Upholstery, Water Restoration, and Fire Restoration, through SERVPRO Industries. John has his Bloodborne Pathogen certification as well. We are excited to have John back on our team!! 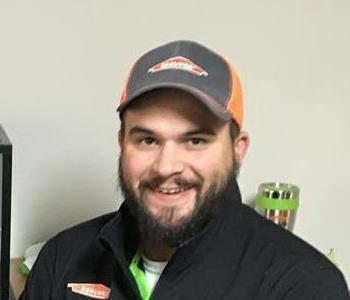 Ryan recently joined the SERVPRO of Greeley/Windsor team as a production technician. Ryan has his Bloodborne Pathogen certification. His customer service skills enable him to provide you with the care you need and want for your home. When Ryan's not working he enjoys working on his house and golf! Leroy worked with us through a temporary labor service and we immediately saw the potential of a great team member. We offered him a job, and he has not disappointed us. Leroy is an asset as he is professional and takes great pride in doing a good job! Leroy's smile and good morning hello is enjoyed by the team each morning! Leroy has his Bloodborne Pathogen certification. We are excited to have Leroy on our SERVPRO team! !